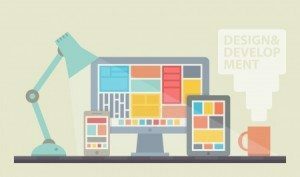 One of the most important parts of good web design is to make sure your website looks great on all devices, including your desktop, laptop, smartphone and tablet. When looking at each of these platforms, you will need to ask yourself: What is the user experience like? How does your site on mobile look like compared to a desktop or laptop? If your site looks stretched or hard to read on a smartphone or tablet, then chances are it is not optimized for mobile. Why is mobile optimization important for your site? Here are few key reasons why. More people are using mobile now than ever before. A recent study from HubSpot shows that 80% of Internet users are now using smartphones to search online. If your visitors do not have a good experience on your site on their mobile phones, then they likely will not stay long and in some cases, may not ever return. It provides a better user experience. When your site is optimized for mobile, Internet users can easily navigate their way to the pages that are most important to you. Your site will also load faster and more efficiently. You’ll receive higher search rankings from Google. It’s a known fact that Google factors loading speed as a part of its search rankings. When your site is optimized, it loads faster, and therefore, Google assigns it a higher search ranking. You’ll receive better site traffic. If the user experience is better overall on mobile, then people are going to keep coming back to your site and will stay for longer periods of time. Plus, they will also visit the pages you want them to go to as long as you have a great navigation. Your site will generate more conversions. If your site is not optimized for mobile users, it will not be an effective tool for lead conversion. With a fully optimized site for mobile, links are easier to click and call-to-actions are in the direct line of sight for mobile users. It’s clear that there are many benefits to mobile site optimization. Following these steps correctly requires a skilled professional in web development. If you need help optimizing your site for mobile or assistance with any other web development service, feel free to leave a comment below or contact us.